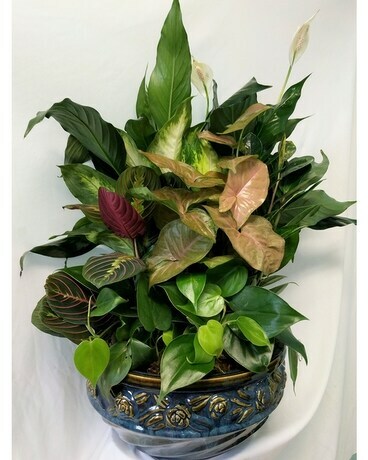 Dish Garden Premium in Edgewater FL - Bj's Flowers & Plants, Inc.
Our dish gardens are a garden of plants growing in a ceramic bowl, basket or metal used for a container. The dish garden can be landscaped to represent a scene in nature, it is a miniature ecosystem. The plants used in a dish garden stay small or grow very slowly - the ones most commonly used. Plants will vary, sometimes even by season. Delightful dish gardens brighten any home or office. Send a dish garden as a housewarming, thank you, congratulations gift, or a very thoughtful sympathy piece.